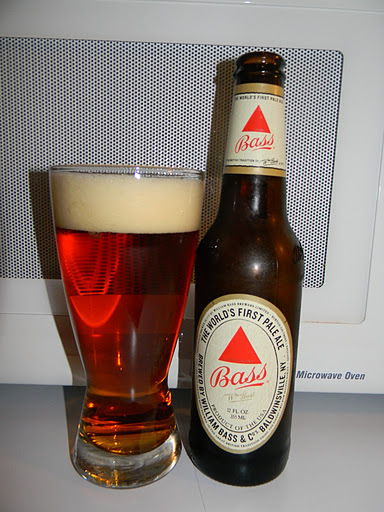 Review of Bass Pale Ale | Beer Apprentice - Craft Beer News, Reviews, Interviews and Info. I have had a few of these… never make a habit of ordering one. I would say your grade is accurate. So I have been meaning to ask you… why are you writing these? Just one beer at a time, or is there a list/goal? Just curios! No goal. Just a way to kind of document what I'm trying. I just try to post a review a day. Some are good…. some not so much. Some are beers I've had before and some I've never even heard of. I got tired of the whole ratebeer and beeradvocate thing. Nobody would interact and I had no idea if anyone was reading my reviews. This blog is nothing special. Just something for me to do. What do you think of the reviews? I would love some criticism. Either positive or negative. I am new… but dude, your reviews are great. I love the whole “grade” thing. We rate our beers 1-5… and I have actually been “yelled” at by BA. Regardless, I love beer and I like writing about it. It's fun for us. Where do you get all your beer from? I get most of my beers from Chucks Wine and Spirits. I wrote a post about them (left hand side of the blog under “popular posts”). They have a great selection, however I've found a new place in the same town that I'm hoping to do a post on in the next few months. Thanks for the compliment on the blog. I really appreciate it. That means a lot coming from you. That's cool man. And my pleasure buddy. But who am I? I'm just a blogger who likes beer! Same here man. I don't know what the hell I'm talking about. Haha. Just sat down in a Scottish themed restaurant. I went with a Bass and started looking for info. Yours is the best. It's cool to know you're just a guy trying beers. At first I thought “He can't taste all that stuff.” That's what I always think of wine descriptions. Then the buttered biscuits comment and I thought “Man it DOES taste like buttered biscuits.” The one I'm drinking now is a draft. American beers get the rep of being mass produced blandness. Well, Bass is bland. That's my critique. I have tried making some WordPress blogs and yours looks great. Thanks for checking on my blog for some reference. I really appreciate that and it means a great deal to me. My findings are just my opinion and sometimes they are not even close to what a lot of professional tasters find. I just try to enjoy the beer and pick out a few subtleties. Be sure to check back in from time to time. I try to post often.